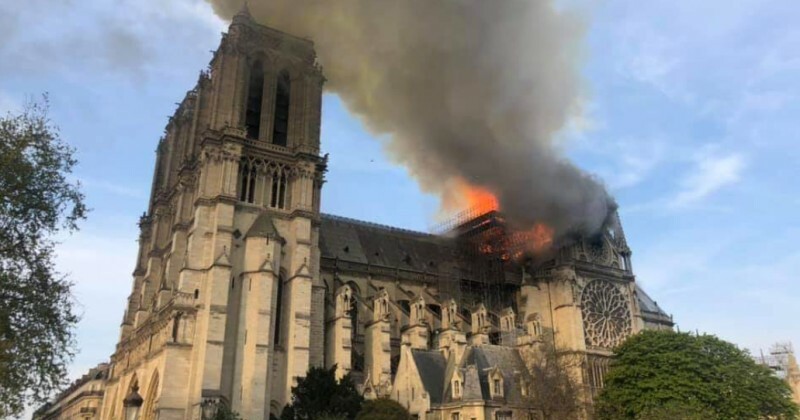 World famous Notre Dame cathedral in Paris was set on fire monday, with one worker claiming that the blaze was deliberately set. The roof of the historic building has completely collapsed. Retired CIA analyst Robert Steele believes the fire is a false flag event. I was devastated by the total burning of Notre Dame cathedral, a place where I once prayed for one of my son’s who survived what might otherwise have been a certain death. The parallels to both the Reichstag Fire and 9/11 loomed. Then I heard from the shadow foreign minister of France and I believe all of the following to be true and an indictment of Macron, Merkel, May, and the Pope — Notre Dame would not have burned as it did without the explicit complicity of the Church — and key police, fire, and government offices in Paris — in detail, in advance, and into the future.